The market is located 1S of town center in the north near the river. 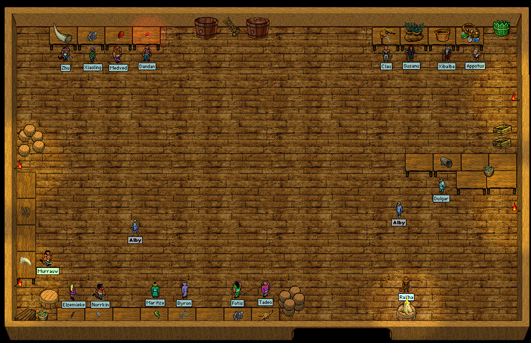 This wooden house live lots of merchants buying items from you, trading them or selling stuff. The market is an important place you young adventurers, as it can be a good soucre for their first coins. This page was last modified on 15 October 2007, at 11:58.